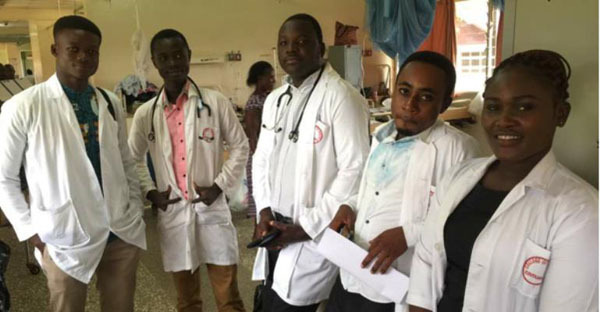 Physician assistants belonging to the Ghana Physician Assistants Association have redrawn their services at the out-patient departments (OPDs) of public health facilities across the country. The health officers’ action, which began yesterday, was in demand of a quick response on the part of government in addressing their concerns. The association cited its main concerns as salary discrepancies, obsolete job description, poor conditions of service, career progression/advancement/specialisation for physician assistants, financial clearance for both public and privately trained physician assistants, internship allowance, NHIS medicine list, among others. The strike, which is yet to see its full effect on patient care in the country, follows an earlier press release issued on August 17, 2017, giving government a three-week ultimatum to resolve pressing issues affecting the practice of physician assistants over the past decades. “The leadership of the Ghana Physician Assistants Association after working hours today, Friday 7th September, 2018 is hereby directing all physician assistants nationwide to effective Monday 10th September, 2018 withdraw all out-patient department services as outlined in our roadmap,” a statement jointly signed by the association’s president and acting general secretary, Alhaji Chief Imoro Bandana II and Peter Eyram Kuenyefu respectively disclosed. “All members are to adhere to the 1st phase of the earlier road-map outlined. Leadership will not entertain any form of intimidation of its members by superiors,” the statement directed. It would be recalled that physician assistants embarked on strike in April this year in protest of the arrest of their colleague allegedly connected to the death of four persons at the New Senchi Health Centre. The Ghana Health Service (GHS) identified a disease control officer as the one who administered the contaminated injections to the patients, leading to the deaths. But the Ghana Physician Assistants Association declared a nationwide sit-down strike at the time, claiming there was a cover-up. Their colleague was eventually released by the police.